ALL ACCESS has confirmed that BCA Sports XEPRS-A (THE MIGHTY 1090)/SAN DIEGO morning co-host J.D. HAYWORTH has exited the station. 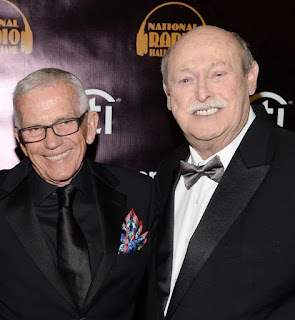 HAYWORTH, the former Congressman and CLEAR CHANNEL Talk KFYI-A/PHOENIX host, joined up with LEE "HACKSAW" HAMILTON earlier this year for mornings. With HAYWORTH's exit, mornings will continue to be hosted by HAMILTON with a rotating group of local and national sports personalities, including players, columnists, and analysts, as "HACKSAW AND COMPANY." The new version will launch on TUESDAY (9/3). Exited? That's a respectful way to say it! It was obvious from day one that Hayworth didn't fit. Hopefully 1090 isn't going to take listeners on another pointless anticlimactic long journey again.